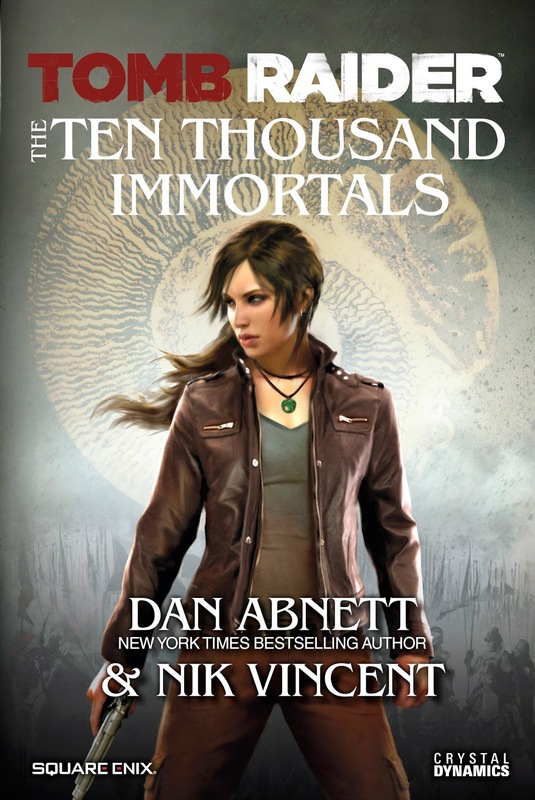 Monday the 20th October is publication day for The Ten Thousand Immortals, the new Tomb Raider novel from me and Nik. Let's all go ooooh and ahhhh at the gorgeous cover, shall we? This brand new, white-knuckle adventure for Ms Croft is set after the fab new, "young Lara" reboot game successfully launched last year, and fits between it and the Rise Of The Tomb Raider sequel game due in 2015. Nik and I have co-authored several novels now - I would also point you in the direction of Fiefdom, the Kingdom novel we brought out earlier this year, based on my post-apocalyptic 20000AD strip. Our collaborations are proving to be immense fun, and I hope our enthusiasm and creative energy comes through. Breakfast table brainstorming is now a thing. We're really proud of this - a globe-trotting contemporary thriller with a sinister mystical edge. Go out and raid yourself a copy.